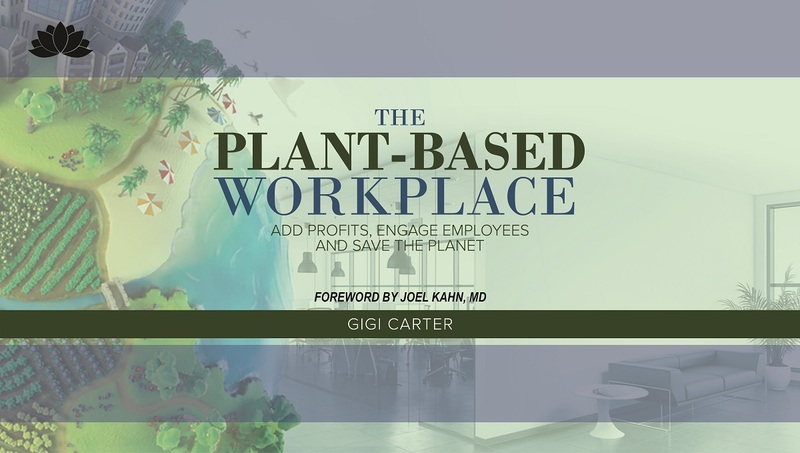 Gigi Carter, author of The Plant-Based Workplace, was born and raised in Cleveland, Ohio and currently resides in Washington state. She earned her bachelor’s degree in economics from John Carroll University and a master’s in business administration from Cleveland State University. Over the last 24 years, Gigi’s career has been mostly with Fortune 500 companies in financial services and manufacturing leading and driving change. She’s held management and leadership positions in finance and accounting, strategic planning, mergers and acquisitions, post-merger integration, operations management, project and program management, and operational and business process excellence. Gigi made a career change in 2016 to pursue her master’s in nutrition sciences from the University of Alabama at Birmingham, where she graduated with honors, and launched a wellness coaching and consulting practice, My True Self, PLLC. Gigi is a licensed Nutritionist and certified personal trainer. Her focus area is in chronic disease prevention using plant-based nutrition and other lifestyle management concepts. When she is not working, Gigi enjoys spending time with her husband, Kevin, three rescued dogs and cycling.